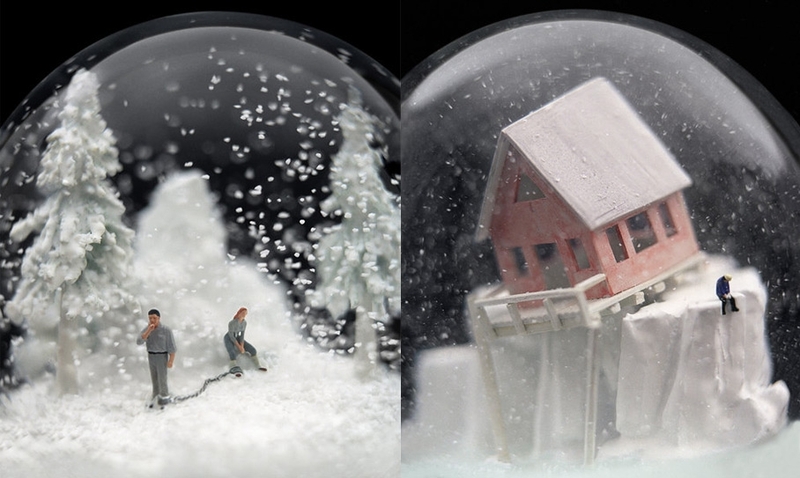 We love all things miniature here at The Dolls' House Emporium, and now that we're fully in the depths of winter, we thought it'd be a great opportunity to look at some of our favourite miniature wintry artworks: the snow globes of artists Walter Martin and Paloma Muñoz. 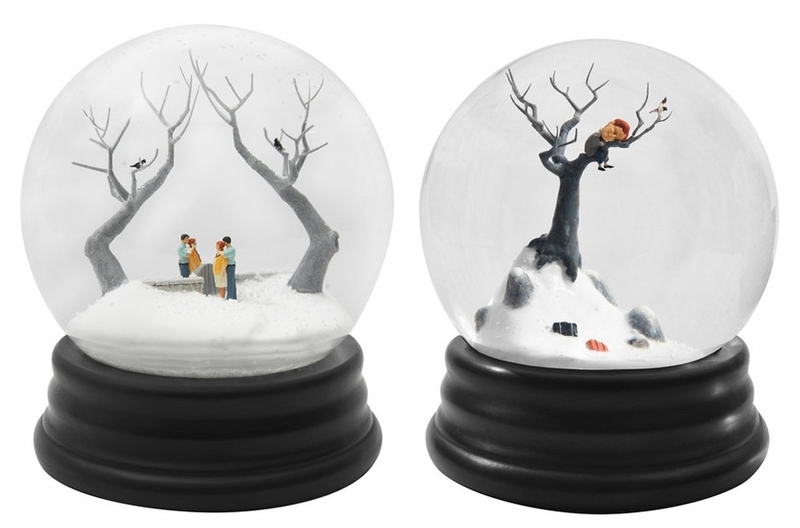 The husband and wife team have been creating miniature works of art inside snow globes for more than 15 years. 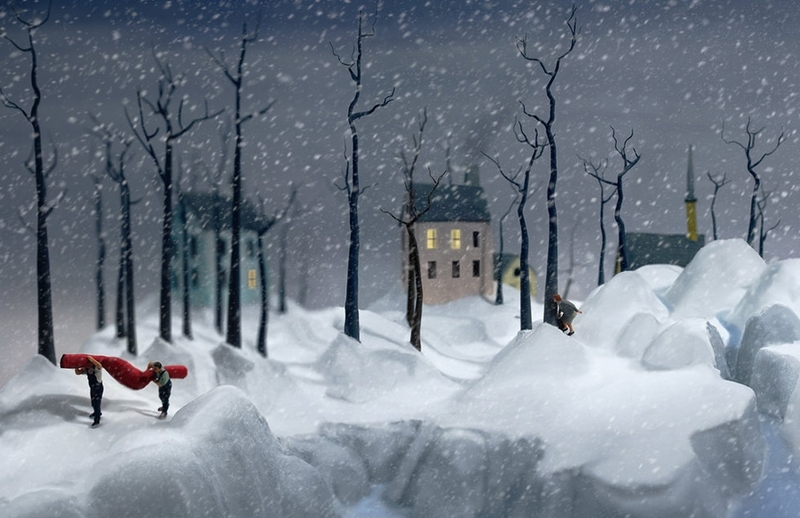 They use these tiny spaces to create scenes that are surreal, beautiful, touching, funny and sometimes sinister. 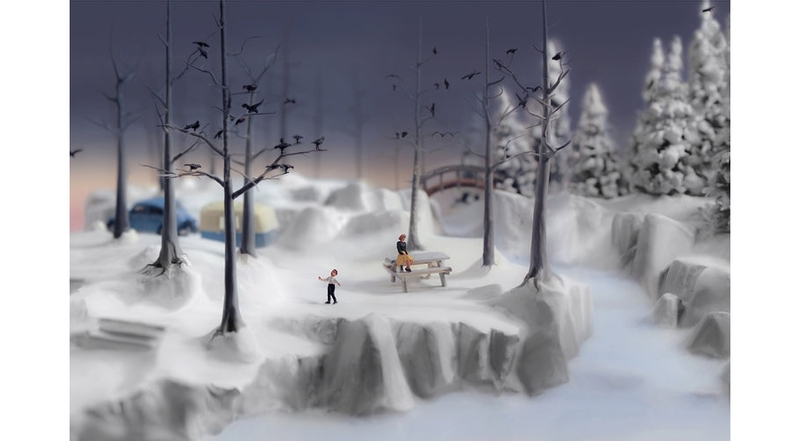 You can find out more, and see a showcase of their work in this lovely video. 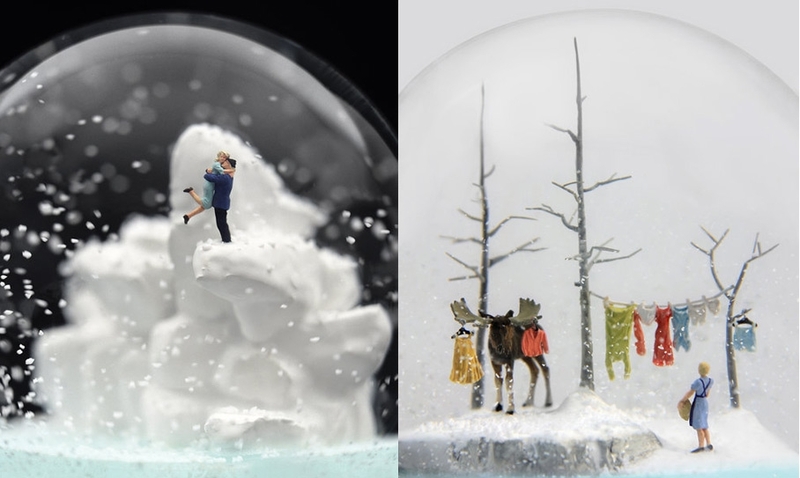 We've selected some of our favourite pieces of their work to show you here. Enjoy! 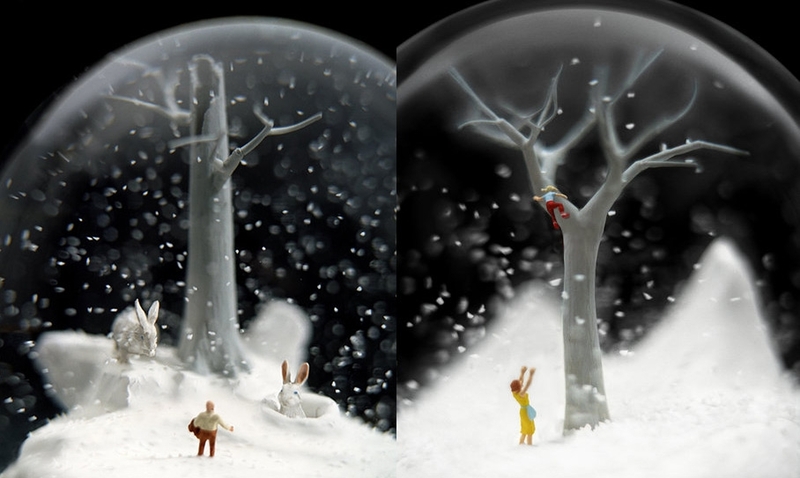 As well as these amazing snow globes, the duo have also created a number of miniature panoramic scenes. We think that their work is absolutely stunning. 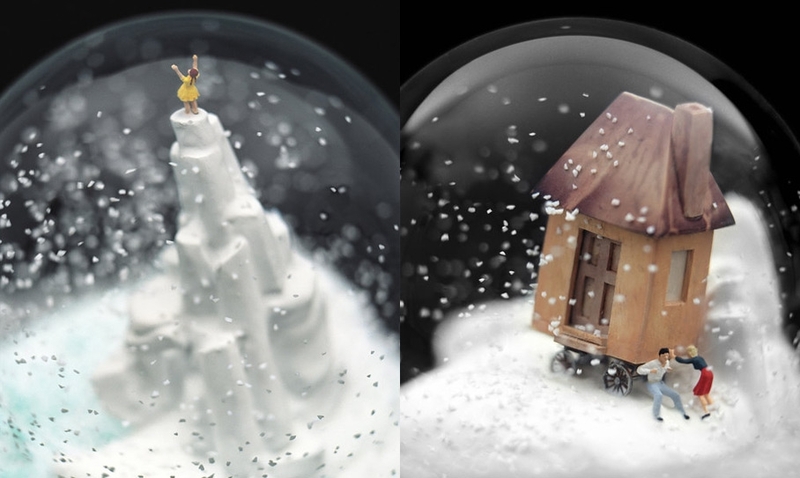 Beautiful and thought provoking, their work is a testament to just how wonderful miniatures can be. You can see more by visiting their website. Ex-display miniature scenes to buy! Did you enjoy the festive scene from Page 4 of our December news and offers brochure? The main elements went on display in our Ripley shop and it's now for sale there at an amazing £85! 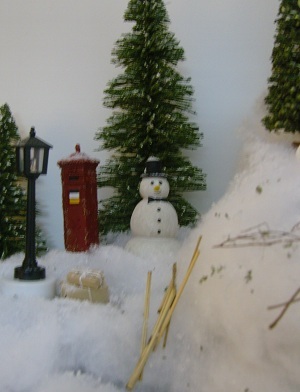 It comes complete with a Father Christmas doll, a couple with their pram as well as the snowman and two children pictured here! 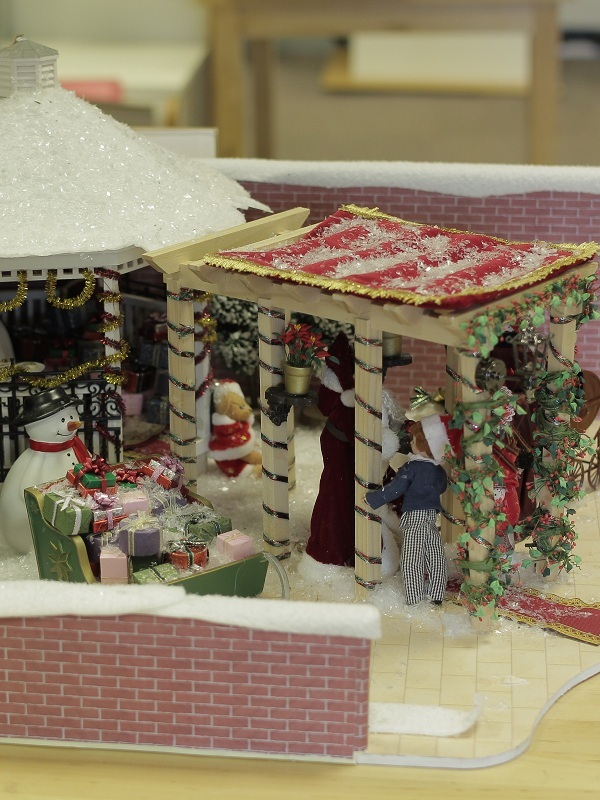 It is made from the Gazebo Kit and the Pergola Kit, which together retail at £39 each! If you can get to The Dolls House Emporium shop you could stand a chance of bagging this - and many other - ex-display bargains! But hurry!! They won't be there for ever! 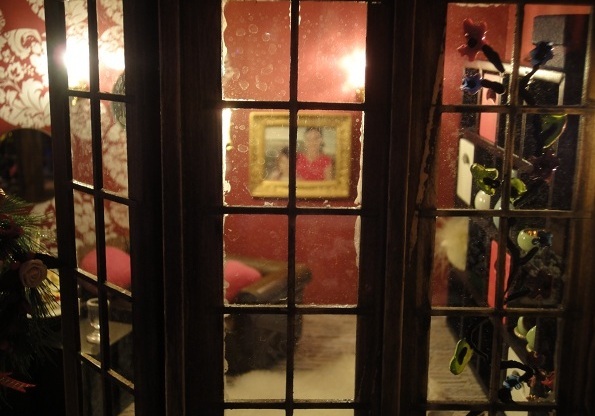 The Retreat is a smaller build which often inspires dolls' house makers to be adventurous. Its size means it's relatively easy to get a great overall effect with less expense and less risk with the DIY! 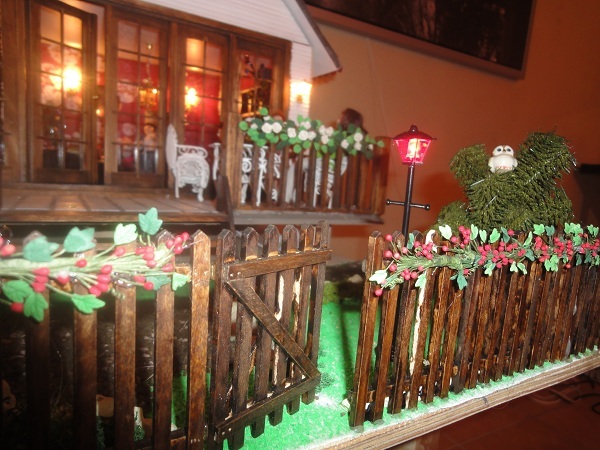 Joanna Suchowińska, from Świdnica in Poland, sent us these images of her project which reached fruition at Christmas. 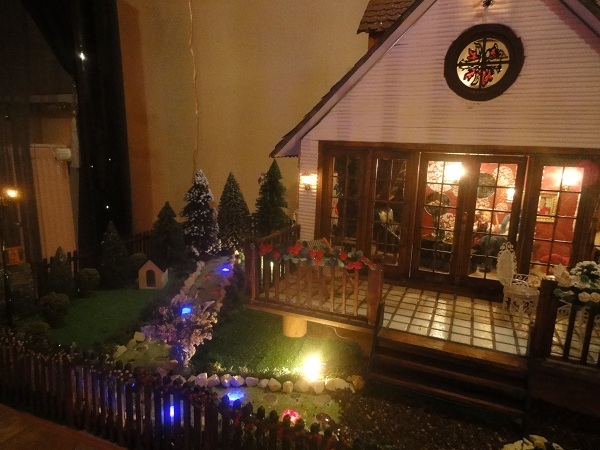 Here is the house and its grounds on display next to her full-sized Christmas tree. Joanna tells us that the work was shared between herself, her boyfriend Jarosław Kreciński and daughter Julia. 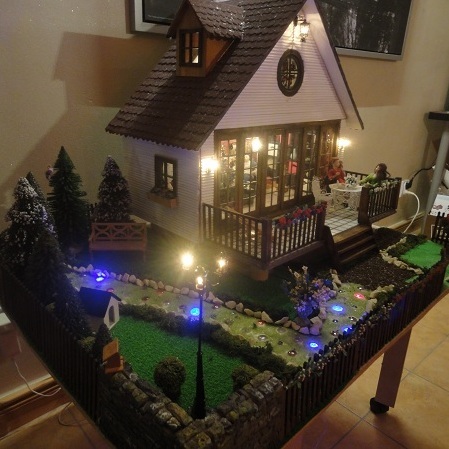 She says: "I want to show you some photos of the doll’s house I’ve built with my and daughter. 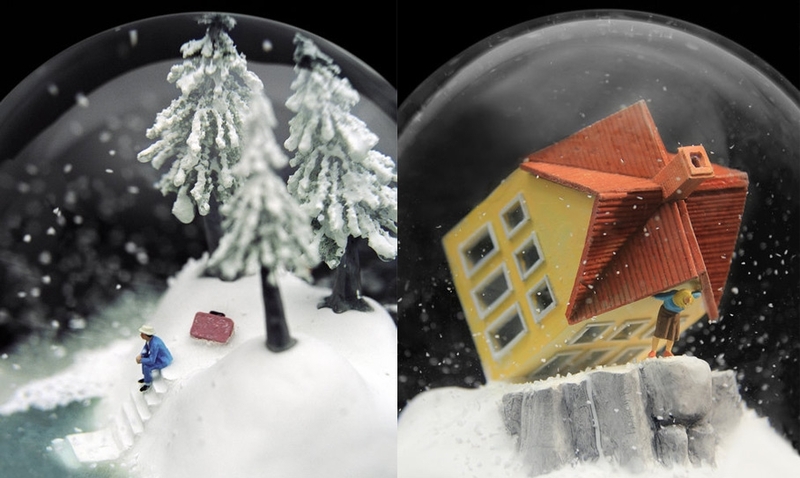 These pictures shows this house in the summer and in the winter time. 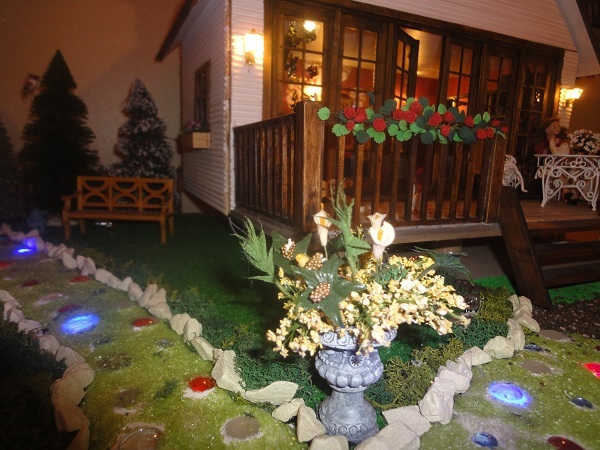 "We’re hope this little home will be nice for you and will give you and people who loves your house ideas a lot of inspiration for building their own beautiful dolls' houses." 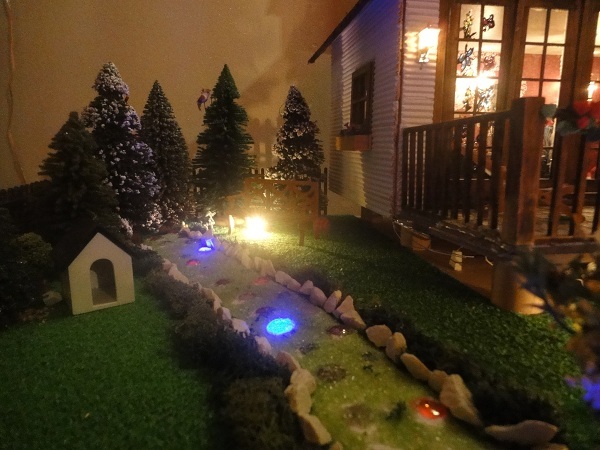 A winter wonderland in 1:12 scale! 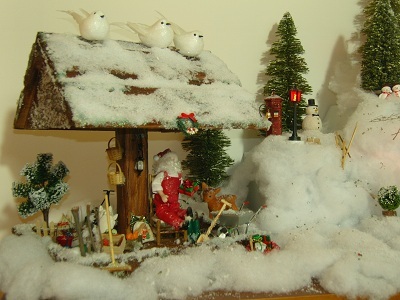 Maria João Fonseca from Portugal has spent some time building an atmospheric Christmas Village. 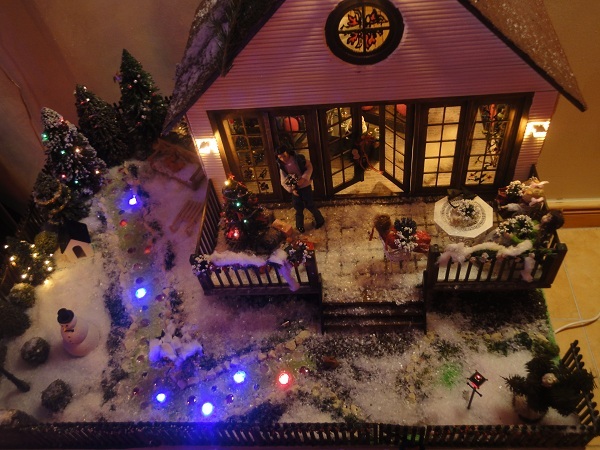 She’s decided to share it with The Dolls House Emporium, so we decided to share it with YOU! 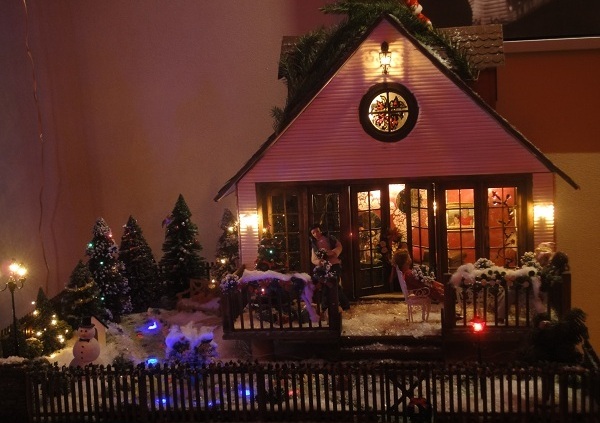 She says: “At Christmas time and since a couple of years ago, I’ve started to build a Christmas Village, and I build the small houses, but the key elements and small details, are all from Dolls House Emporium. “This will grow every year, but would like to share it with you. 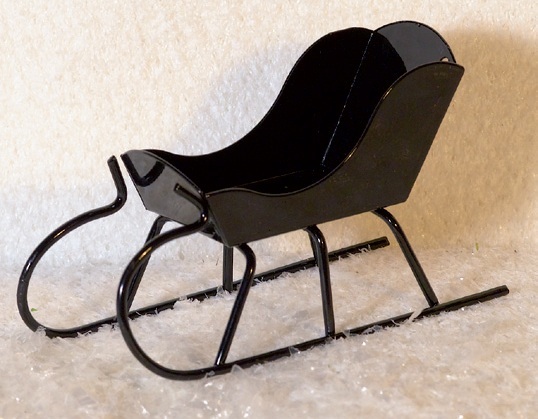 FREE miniature sleigh with your next order! 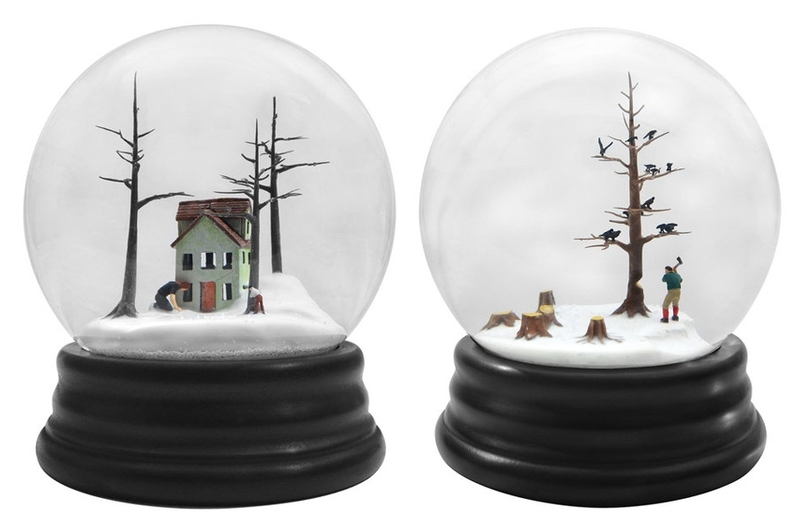 Are you collecting this super series of winter gifts? 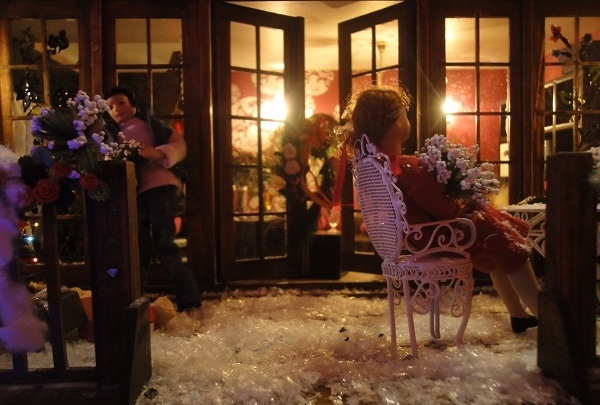 They’re all FREE – simply for being a Dolls House Emporium customer. This month a metal sleigh (worth £10.45) can be yours when you spend £45 or more on furniture and accessories during November. 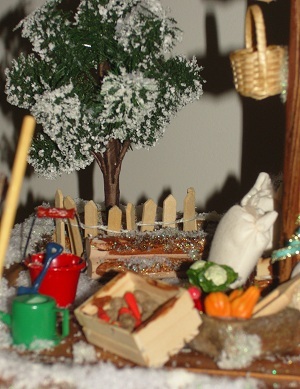 It will add to your festive scenes inside and outside your dolls’ house alongside the other Winter Collection items which are FREE to collect between now and December. It includes this month’s gift, a traditional black metal sleigh and next month you can pick up a cute Daniella doll, worth £11.65. The pretty Christmas sampler and jingle bell door hanger which were previous month’s gifts can now be ordered. Simply place one order of £45 or more on furniture and accessories per month to qualify for your gift. If you take advantage of this offer each month you will claim items worth a total £31.15, something that’s sure to add to the spirit of Christmas in your home! 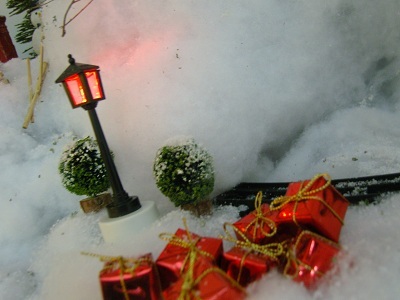 When you complete the set in December, we’ll add a superb battery-operated street light (worth a further £22.95) completely FREE as a special seasonal thank you for being a super customer. As always, the collection is subject to availability – so order NOW to make sure you don’t miss out!